I like the room designs, location is very convenient and very near the night market and restaurants. Price is good for families. Staff is helpful. The location was convenient, only 5 minutes walk from the station. The room was clean and spacious. The staff (or I think he's the owner) was very friendly. There were complete facilities including washing machine and refrigirator. There is even a space to hang the clothes to dry. The place is very secure since an access key (aside from the hotel room key) is needed to enter the hotel facility. The place was very comfortable and cozy. The location is perfect as it is located in the city center and there were many convenient store nearby. The host was very helpful and nice. When we faces some troubles with the house, the host gladly helped us. Awesome place to stay at and thank you for taking care of us while we were there. The staff is so kind and helpful. They know the word Privacy coz they will not enter to your room if you’re inside. I will go back here and check in. 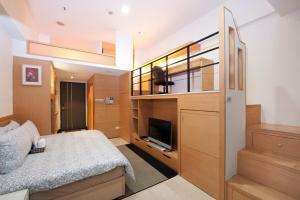 The location is very good near Ximen mrt and Ximen night market. The room is clean and comfortable. 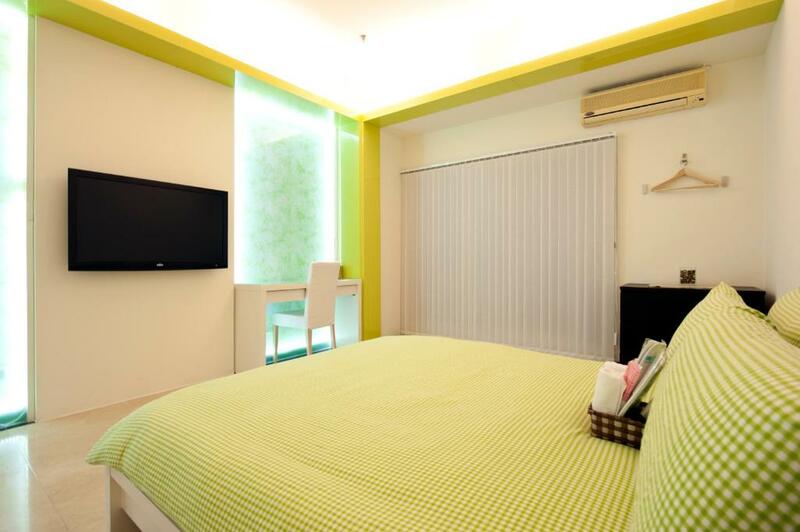 The room is clean and big, the bed has a good smell and comfortable and the towels are also clean.. Very good location, very accessible. Rooms were spacious and well kept. Staff were accommodating and allowed us to leave our stuff after checking out so we can still roam around the area before heading to the airport. Will definitely stay here again if and when I’ll go back to Taiwan. I’ll recommend this hotel to my friends who’ll be visiting Taiwan. Lock in a great price for O2 Apartment - Ximen Branch – rated 8 by recent guests! Located in Ximending shopping area, O2 Hotel - Ximen Branch is just a 3-minute walk from MRT Ximen Station. The property features a quiet living space and free WiFi in all rooms. All units are air-conditioned and include a flat-screen TV. A fridge and kettle are also offered. There is a private bathroom with a shower in each unit. For guests' comfort, towels, free toiletries, slippers and a hairdryer are provided. Around O2 Hotel - Ximen Branch, guests will find a rich collection of entertainment, business and dining options including movie theaters, KTV, convenience stores, restaurants, café and izakaya. 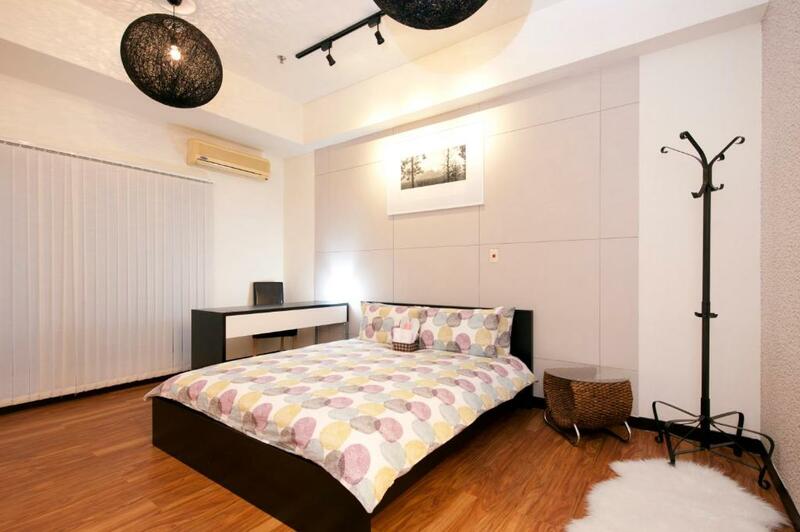 It only takes 3 minutes to walk to The Red House and 12 minutes to walk to Bopiliao Old Street from the property. 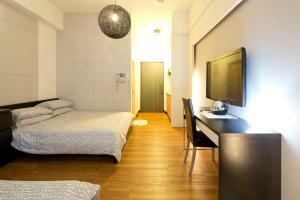 The hotel is 1 metro stop from Taipei Main Station and 7 metro stops from Taipei Songshan Airport. From this area, guests can easily reach most of the landmarks and attractions such as Yangmingshan National Park, National Palace Museum, Taipei 101, Jiufen, Shifen, Jinshan and Yehliu. 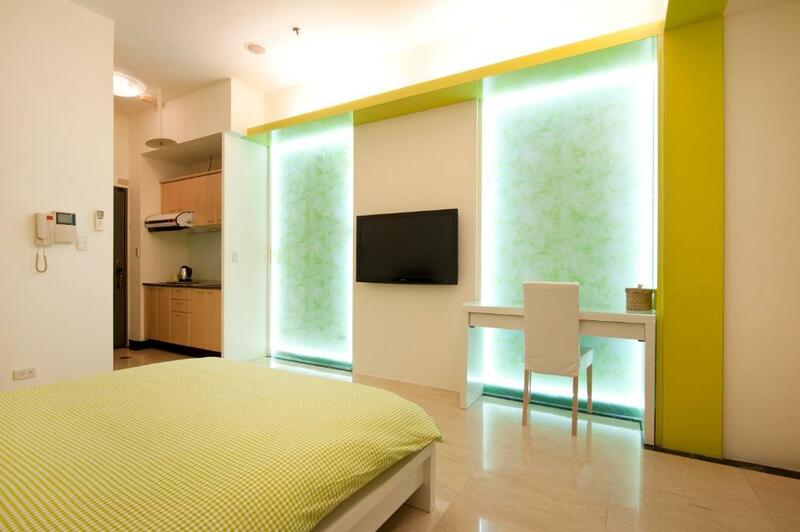 When would you like to stay at O2 Apartment - Ximen Branch? 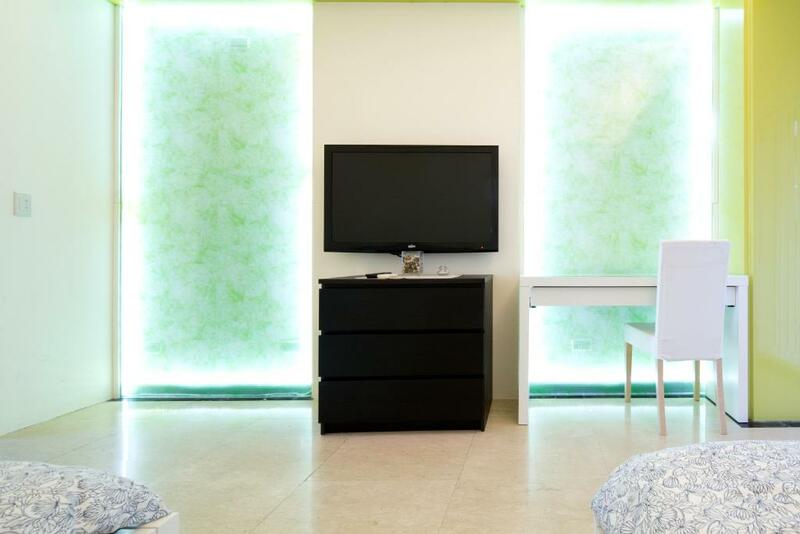 This apartment has a soundproofing, air conditioning and flat-screen TV. Area Info – This neighborhood is a great choice for travelers interested in shopping, night markets and street food – Check location Great location - show map Guests loved walking around the neighborhood! House Rules O2 Apartment - Ximen Branch takes special requests – add in the next step! O2 Apartment - Ximen Branch accepts these cards and reserves the right to temporarily hold an amount prior to arrival. Required some coordination to pick up keys. Good location. Clean and big room. There is a kitchen but no utensils provided at all. Need improvement on bathroom fixtures due to damaged shower enclosure and missing bidet. 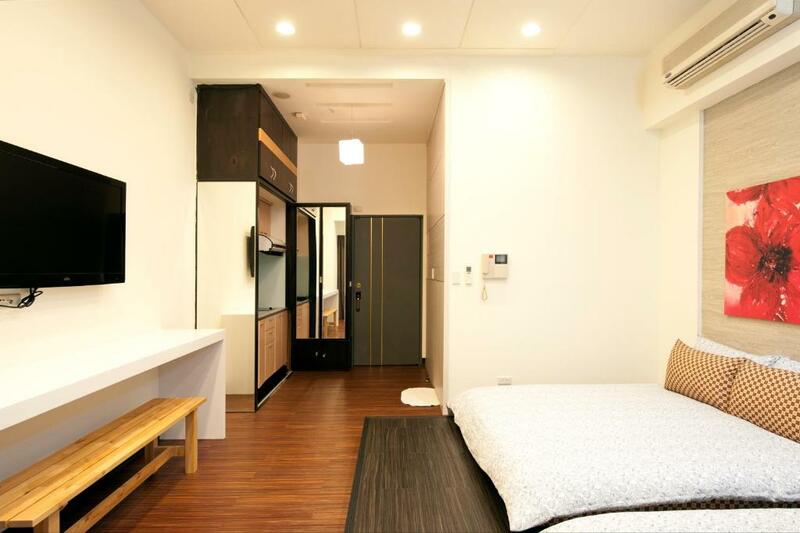 Location and cleanliness, quiet, good supply of hot water. The air conditioner was very noisy in our friend's room so they had trouble sleeping. The "balcony" is actually a teeny dingy space with a washing machine on it facing the interior of the building, so no view whatsoever and not a place for sitting. Great location in the historical area, with interesting streets and lanes for wandering. The room was large with an extremely comfortable bed. The hosts were very friendly and accommodating - we were able to leave our bags after check out and pick them up in the evening before our flight. The only issue picking up the key was on our part as we had to find wifi in order to make contact early morning (Starbucks down the road was a godsend! ), but once arranged the host was there at the agreed upon time. Only one set of keys given. Not even a glass, spoon, a plate etc although the place equipped with Kitchen. Shower leak water onto floor. Having to go to office to collect new towel. Only draws no wardrobe. Poor WiFi connection. The location was great. Close to Metro station. Comfortable bed. 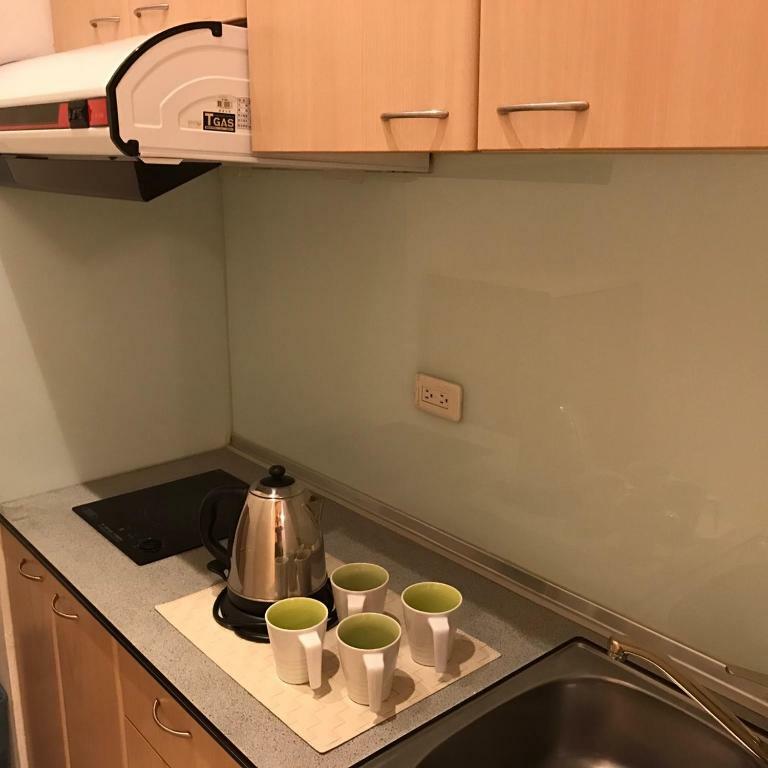 No cleaning service, Kitchen can't used even the picture shown there's a mini kitchen/stove ..no microwave for us to reheat our foods. The property could have more facilities such as a kitchen. The host was very accommodating. It was raining when we arrived and we were able to check in our luggages easily. Good Location and Cleanliness. Value for money. No housekeeping. The room we got has no divider for shower and toilet so the floor is wet all throughout. There is a washing machine provided but they did not provide detergent. The room was comfortable and the location is good. the bed and pillow are not up to our expectation. pillows were too thin which cause one of my friend having stiff neck. no extra pillow to supply.